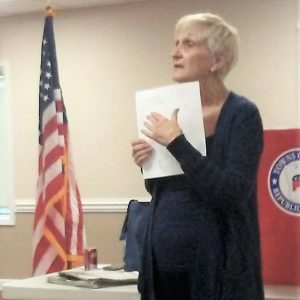 HIAWASSEE, Ga. – Towns County Republican Party took to social media in an attempt to persuade against “yes” votes on ballot amendments, including “Marsy’s Law.” Towns GOP Chair Betsy Young shared a letter attributed to Georgia resident Dottie McIntosh Honea, addressed to family and friends. While Honea’s letter included opposition to a taxation amendment, the initial segment focused on the crime victim portion of November’s ballot. Honea continued on to assert that the ‘certain rights’ to be granted to crime victims are vague, without clear assurance of notification when a perpetrator is released from prison. 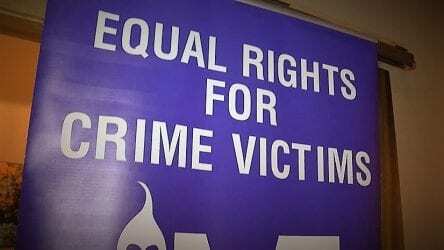 “The victim can assert such rights….what rights? Certain ones? What are they referring to? Will it be left up to a judge to decide what ‘certain rights’ the victim has? No guarantee of being notified of anything. Please do not vote in favor of changing our state Constitution to contain something so non-specific as Amendment #4…’Marcy’s (sic) Law.’ This Amendment will not help Marcy, or you, at all,” Honea concludes. National opponents of the crime victim amendment warn “Marsy’s Law” could undermine due process. “Since 2008, a national campaign entitled “Marsy’s Law” has sought to enshrine in state constitutions a specific and lengthy set of victims’ rights,” ACLU Policy Director of New Hampshire Jeanne Hruska stated earlier this year, “Funded by California billionaire Henry Nicholas, the campaign’s goal is to lock its formula into every state constitution and then to amend the U.S. Constitution to include similar victims’ rights. Though well intended, the Marsy’s Law formula is poorly drafted and is a threat to existing constitutional rights. Victims’ rights are not rights against the state. Instead, they are rights against another individual. The Marsy’s Law formula includes the rights to restitution, to reasonable protection, and to refuse depositions and discovery requests, all of which are enforced against the defendant. Such rights do nothing to check the power of the government. In fact, many of the provisions in Marsy’s Law could actually strengthen the state’s hand against a defendant, undermining a bedrock principle of our legal system — the presumption of innocence. As of April 2018, five states had adopted Marsy’s Law, including California, Ohio, Illinois, North Dakota, and South Dakota. Montana passed Marsy’s Law, although it was later ruled unconstitutional, and subsequently, overturned. Georgia joins Nevada, Oklahoma, and Kentucky in voting on the crime victim amendment on the Nov. 6 ballot.